Edward Harrison has a broad commercial litigation and arbitration practice encompassing civil fraud, banking and finance, professional negligence (including accountants' negligence and proceedings involving the FRC), energy and the conflict of laws. He also has experience of public international law and human rights, and is regularly instructed in proceedings overseas. Before coming to the Bar, Edward was an undergraduate and graduate student at Worcester College, Oxford, where he was subsequently a lecturer in contract law. 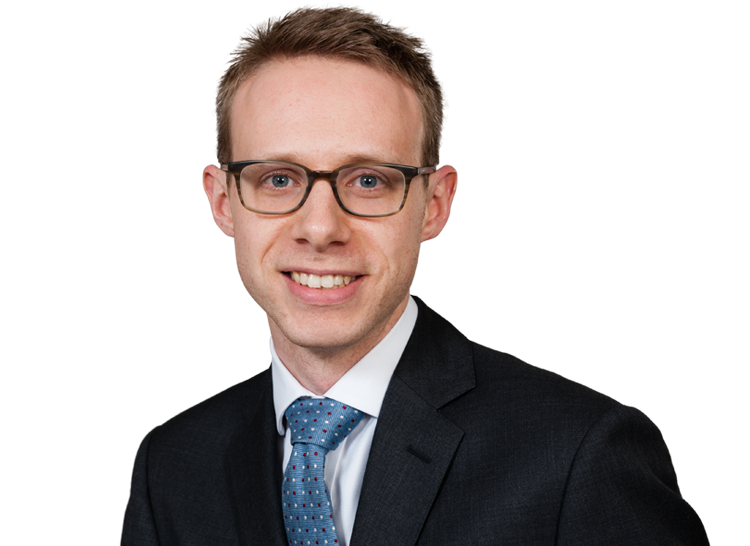 Edward has been instructed in a number of the leading commercial cases before the English Courts of recent years, including in BayernLB v Bernie Ecclestone, Libyan Investment Authority v Goldman Sachs, UBS v KWL and Berezovsky v Abramovich. His recommendations in the legal directories cover multiple practice areas, including commercial litigation, civil fraud and professional negligence. As well as referring to his “extremely strong technical knowledge” and “commercial approach” he is also described as “fantastically responsive” and a “strong team player”. Bluewaters v BayernLB, Bernie Ecclestone, ​​Bambino Holdings Limited (Comm. ): acting in a Commercial Court dispute concerning a claim for damages in excess of US$500m as a result of alleged bribery in connection with the sale of the Formula 1 group of companies to CVC. Akers and others v Samba Financial Group: Acting for the Defendant Saudi bank in a claim relating to the alleged knowing receipt of securities valued in excess of US$300million, which are alleged to have been held on trust for the benefit of a Cayman entity (now in liquidation). NHBC v PricewaterhouseCoopers LLP (Comm. ): acting for the Defendant in Commercial Court proceedings relating to tax and audit services provided to the National House Building Council. ​​​ Arcadia v Bosworth et al (Comm. ): acting for the Claimant in a c. $300 million fraud claim involving worldwide freezing and proprietary injunctions and arising against multiple Defendants in connection with oil trading in West Africa. Brightside Group Limited v Baker Tilly UK Audit et al (Comm. ): Acting for the Defendants in Commercial Court Proceedings relating to statutory audit work, CASS Audit work and corporate finance services provided over a number of years by Baker Tilly (now RSM) to entities in the Brightside Group. Libyan Investment Authority v Goldman Sachs International  EWHC 2530 (Ch): acting for the LIA in its claim that, during the Gaddafi era, Goldman Sachs procured the LIA to enter into derivative investments of around US$1.2 billion by undue influence and/or that the investments were unconscionable bargains. UBS v Kommunale Wasserwerke Leipzig GmbH  EWHC 3615 (Comm. );  EWCA Civ 1567: acting for the Claimant at first instance and before the Court of Appeal in a US$320 million claim seeking to enforce payment under a number of synthetic CDO transactions. Berezovsky v Abramovich  EWHC 2463 (Comm. ): acting for the Defendant in a £4 billion claim in the Commercial Court alleging intimidation and breach of trust. Alfonso Munoz Cordoba v Hiscox Insurance Company (Guernsey) Limited (Comm. ): acting for the Claimant in an insurance dispute relating to sums alleged to be owed under an indemnity policy covering, inter alia, extortion and kidnap (settled, 2015). Stuart Lunn v Cenkos Securities PLC (Comm. ): acting for the Defendant securities group in connection with substantial unpaid bonus claims brought by a former employee (settled, 2012). Arcadia v Bosworth et al (Comm. ): acting for the Claimant in a c. $300m fraud claim involving worldwide freezing and proprietary injunctions and arising against multiple Defendants in connection with oil trading in West Africa. BayernLB v Bernie Ecclestone (Comm. ): acting in a substantial Commercial Court dispute between BayernLB and Bernie Ecclestone relating to the sale of the Formula 1 group of companies to CVC. Newland Shipping and Forwarding Limited v 1) Toba Trading 2) Seyed Majed Taheri (Comm. ): acting for the Claimant in two related complex disputes relating to the alleged non-payment by the Defendants of the full amounts due for oil and gas cargoes, and an alleged conspiracy to obtain the cargoes without payment. Okean B.V and Logistic Solution International Limited v Olympus Investments (2001) B.V et al: acting for the Claimants in relation to complex multi-jurisdictional proceedings (including proceedings in the Netherlands and ancillary proceedings in New York) in relation to an alleged fraud relating to the ownership of shares and debt instruments concerning the Ukrainian shipbuilding company Wadan Yards Okean OJSC. Energy Venture Partners Ltd v Malabu Oil and Gas Ltd  EWHC 2118 (Comm): a substantial claim for unpaid broker’s commission arising out of the sale of a deep-water oil block in the Niger Delta. James Fisher Offshore Limited v InterAct Activity Management Limited (Comm. ): acting for the Claimant in a commercial dispute concerning contracts for the excavation and lowering of a live subsea gas pipeline running from an offshore facility off the coast of East Java in Indonesia. Mabanga v Ophir Energy PLC & Ophir Services PTY Limited  EWHC 1589 (Comm. ): acting for the successful Defendant oil and gas exploration companies in obtaining reverse summary judgment in respect of a claim for misrepresentation arising out of a project in Tanzania. Unaoil v Amona Ranhill  EWHC 1595 (Comm. ): acting for the First and Second Defendant companies in successfully setting aside service of proceedings by the Claimant oil and gas consultancy relating to unpaid commission on agreements relating to various construction projects in Libya. Munib Masri v 1) Consolidated Contracts International 2) Consolidated Contractors (Oil and Gas) Company SAL (Comm. ): acting for the judgment creditor in long standing proceedings relating to the enforcement of a judgment debt. Comanco SA v. TGC Ventures Limited (Comm. ): a $200 million oil pipeline dispute relating to a project to construct new pipelines from Kirkuk in Iraq to Banias on the Syrian Mediterranean coast. Libyan Investment Authority v Goldman Sachs (Ch. ): acting for the LIA on its claim in the Chancery Division that, during the Gaddafi era, Goldman Sachs procured the LIA to enter into derivative investments of around US$1.2 billion (described by The Lawyer as one of the top 20 cases of 2016). Fortress Value Recovery Fund v Blue Skye Special Opportunities Fund (Comm. ): acting for the Defendant fund managers in a dispute concerning a Euro 200 million investment structure involving claims brought by a series of investors against the fund managers and related parties. Nazim Omara & Taha Babiker v. Al Mal Bank: acting for the Defendant liquidators to defend claims arising out of the liquidation of Al Mal Bank. The case was only the second before newly constituted Qatar Financial Centre Civil and Commercial Court. Atrium European Real Estate Ltd v Meinl Bank & Ors (Comm. ): a multibillion euro fraud claim arising out of underwriting and market activities carried out in Austria on behalf of a Jersey investment fund and raising complex issues of jurisdiction involving the Judgments Regulation, common law rules and arbitration provisions (settled, 2011). Brightside Group Limited v Baker Tilly UK Audit et al (Comm. ): Acting for the Defendants in Commercial Court Proceedings relating to statutory audit work, CASS Audit work and corporate finance services provided over a number of years by Baker Tilly (now RSM) to entities in the Brightside Group (Comm.). The Executive Counsel to the ​Financial Council v Baker Tilly UK Audit LLP et al: ​acting for the Respondents in ongoing proceedings brought by the Executive Counsel to the Financial Reporting Council relating to the audit of the Tanfield Group. O’Neil Patient Limited and others v RSM UK Tax and Accounting and others: A claim in the Chancery Division relating to multiple instances of allegedly negligent tax and accountancy advice in connection with a corporate acquisition. Motormile Finance UK Limited v RSM Risk Assurance Services LLP – Acting for the Defendant in Chancery Court proceedings relating to the Defendant’s performance of a section 166 review in connection with the Claimant’s application for authorisation by the FCA. UBS v Kommunale Wasserwerke Leipzig GmbH  EWHC 3615 (Comm. );  EWCA Civ 1567: acting for the Claimant at first instance and before the Court of Appeal in a US$320 million claim relating to the alleged negligent management of a portfolio of financial reference entities. Go Plant Limited v Grant Thornton UK LLP (Ch. ): acting for the Defendant assurance, tax and advisory firm in relation to claims relating to the performance of corporate advisory functions. Davidsons Developments Limited v Grant Thornton UK LLP (Ch. ): acting for the Defendant assurance, tax and advisory firm in relation to claims relating to the performance of audit functions. Ongoing proceedings throughout 2017 and 2018 before the Dubai International Financial Court in connection with a series of arbitrations which relate to the development and management of a luxury hotel property in Dubai. The Executive Counsel to the Financial Council v Baker Tilly UK Audit LLP et al: acting for the Respondents in ongoing proceedings brought by the Executive Counsel to the Financial Reporting Council relating to the audit of the Tanfield Group. Ministry of Defence v. A. Contractor: A commercial ad hoc arbitration relating to a defence procurement contract. Teva UK Limited v Department of Health: acting for the Claimant pharmaceutical company in arbitration under the Pharmaceutical Price Regulation Scheme relating to the over-delivery of price adjustment savings under the scheme. GlaxoSmithKline v Department of Health: Acting for the Claimant pharmaceutical company in an arbitration under the Pharmaceutical Price Regulation Scheme relating to whether stockpiled products fall within the general provisions of the scheme. Edward has experience of public international law cases and is currently involved in a series of ongoing inter-state disputes before the European Court of Human Rights. He also has experience of inquiries and was Secretary to the “Hoffmann Commission”, a commission chaired by Lord Hoffmann and constituted by the MTN Group to investigate claims of corruption in relation to MTN's bid to participate in the second mobile phone network in Iran. “A truly excellent junior with a sharp, strategic mind and sound judgment. He is technically excellent, a clear communicator and extremely easy to work with.” (Chambers & Partners 2019).